Badland is one of those rare games that manages to be both gorgeous and completely engrossing. 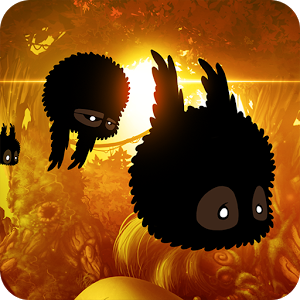 All you have to do is tap the screen to make your little bird-things flap their wings, but there are so many dangers in Badland! How will you ever make it alone? Now you can experience this killer game with three friends thanks to the new four-player co-op mode. This game has had head-to-head multiplayer since it was released last year. However, co-op mode, as the name suggests, is about cooperation. Power-ups benefit all the players and you have to work together to succeed. Just like multiplayer, each person gets a section of the screen to tap in order to control their color. While you can play on a phone, this user experience makes more sense on a tablet. Controllers are supported too. Here's the full changelog. Survive all the 40 modified DAY I levels together with your friends! If you haven't picked up Badland in a while, there was also an update back in April with some super-difficult "doomsday" levels. It supports Google Play cloud sync, so you can install and pick up right where you left off. Oh, and for newcomers, the in-app purchase is only for buying the full version.